Our product range is secured properly with premium packaging materials that protect the products from mechanical damage and ensure the product delivery is safe and without damage. In order to deliver an exceptional lot of products, we make use of the finest grade material for producing them. As a result, the finished products comply with high quality standards. 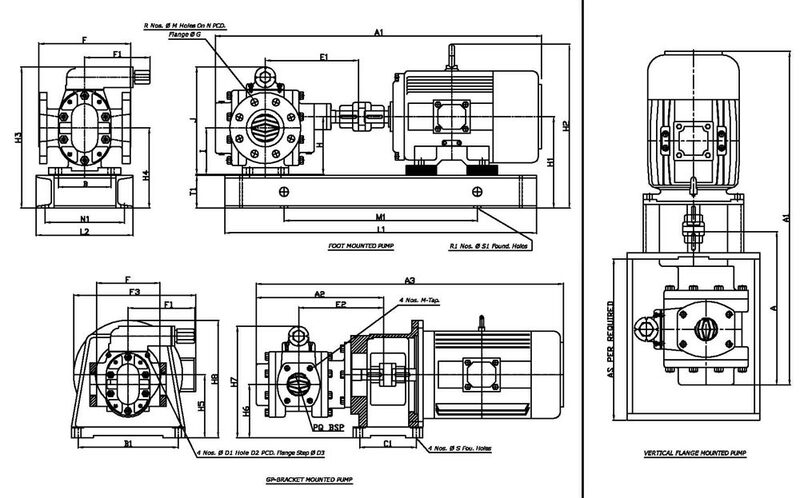 Gear pump is the most versatile rotary positive displacement pump & it scores over other types of Pd pumps viz. Screw, Vane, Lobe, Tracoidal, Radial piston etc. & therefore it is used for the widest range of application i.e. loading-unloading, transfer, fuel pressurizing, hydraulic, lubrication in IC engines, Polymers metering applications etc. Gear pump can develop high pressure uo tp 210 bar in same configuration simply by tightening the working clearances & improving the workmanship, whereas in screw pump the thread length is needed to increase making the pump bulky & difficult to manufacture. 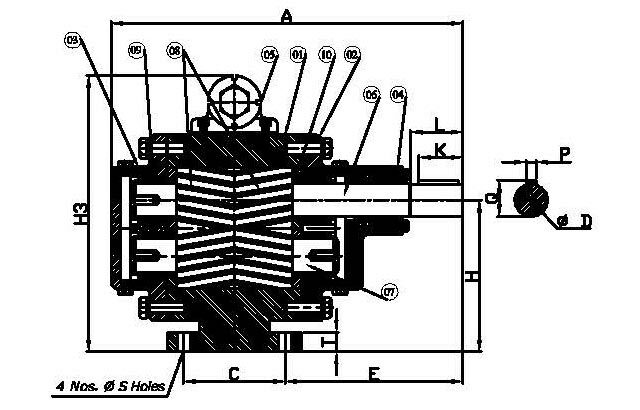 In gear pump each tooth gap contributes to the capacity while in screw pump only one pitch length contributes to the capacity thus gear pumps are always cpmpact & efficient. 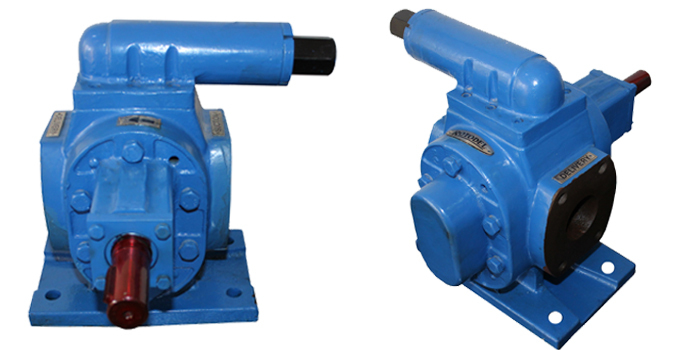 The capacity of the pump varies directly with speed but remain constant against pressure, however some liquid always by-passes to suction due to running clearance between the casing & impeller causing slip which depends upon the differential pressure, viscosity of the liquid & the workmanship. Gear pumps are capable of handling liquids of any viscosity, th slip reduces with increse in viscocity but the frictional power increses. Though the pump has a self priming capability some net positive suction head(NPSH) is always required to avoid cavitation, this again depends on the viscosity of the liquid to be pumped & the pumping speed. Internal power losses : In rotary gear pumps are of two types.The mechanical loss is the power required to overcome friction drag of all the moving part within the pump while viscous loss is power loss due to fluid viscous drag & shearing action of the fluid, this can be calculated from the graph shown here. Horse power calculation : The bhp required to drive a rotary pump is sum of the theoretical HP & internal losses. The former is the actual work done in moving the fluid from inlet pressure condition to outlet pressure condition & is product of constant C=0.037, Capacity in M3/hr. & Pressure in Kg/CM2 or Constant c-2.3, Capacity in GPM & Pressure in PSI. 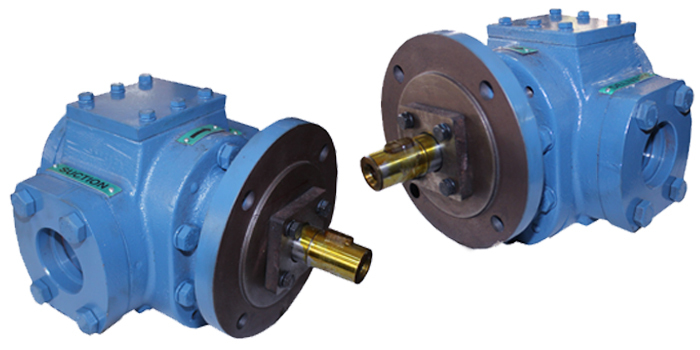 Gear Pump Selection & uses : RDBX/NX series pump are medium pressure pumps designed for viscous pressure application up to 21 bar. The bush bearing version type RDBX is used for clean or dirty viscous & semi viscous liquid where the shaft surface speed is less. Pump upto 21/2" size can be run at 1440 RPM & for higher size the speed should be reduced to 960 RPM or lower. The self-lubricated needle roller bearing type can be used for clear viscous liquid & can be run at 1440 RPM for all the sizes. 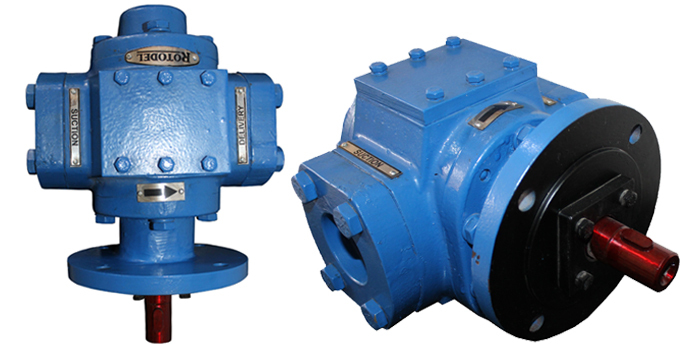 This pump are ideally suited for fuel pressuring, hydraulic, medium pressure lubrication & transfer applications. 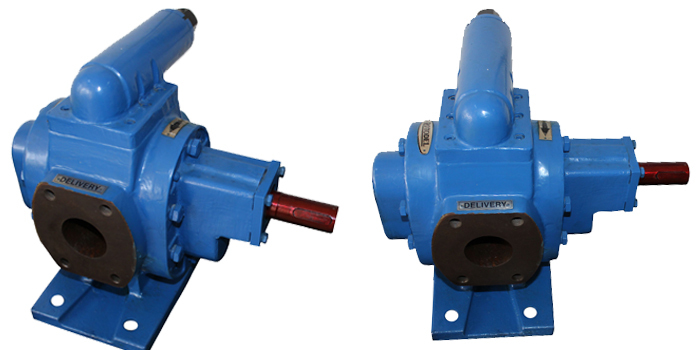 Inspection & testing : All pumps are assembled after due inspection of each & every parts & than they are tested for duty parameters in accordance with API-676 & JIS-B 8312-1976. Third party inspection are also offered, we are approved by following consultants & inspection agencies.